Shown 10x15. Other sizes available. Exclusive offer from the Stephen Miller Gallery Samori Collection. 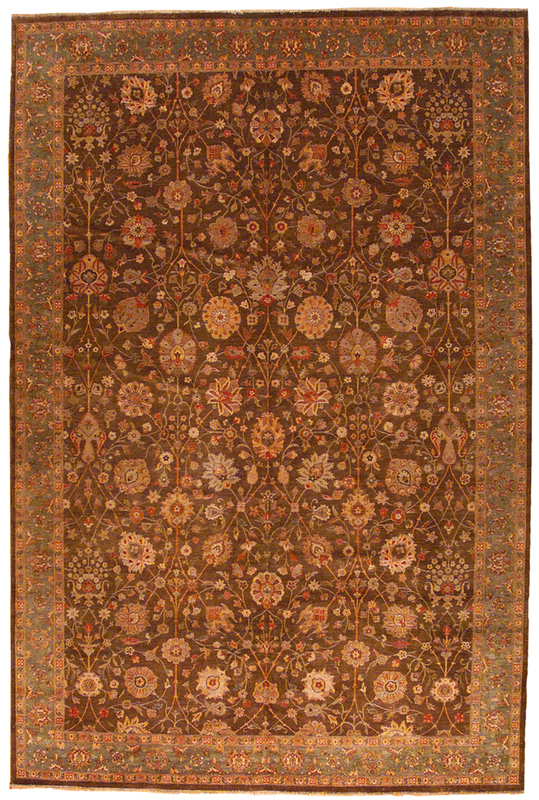 This rug’s chocolate field is beautifully framed in a sea blue border. Woven of fine hand-spun vegetable dyed wools. 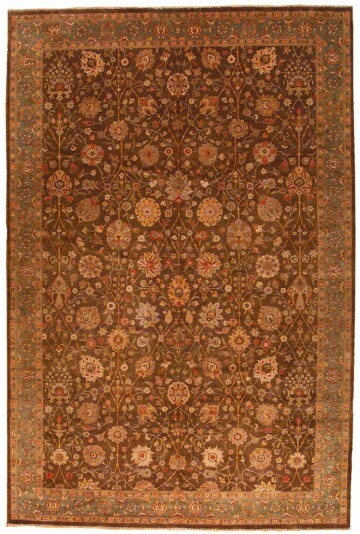 “Agra” adds great warmth and visual interest to your room. Available to order in other sizes.